Federal law bans marijuana nationwide and yet some states have decided to license its trade. So, where does this leave citizens, local government, and attorneys who work in the cannabis industry? 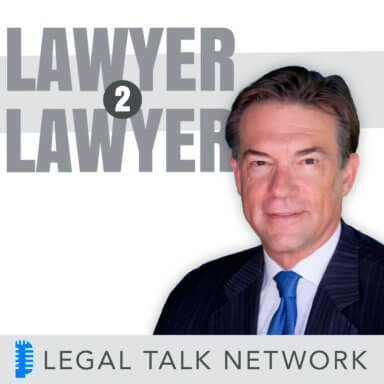 On this episode of Lawyer 2 Lawyer, hosts Bob Ambrogi and J. Craig Williams interview Brian Vicente, Dan Riffle and Kathy Haddock to discuss the challenges and liabilities that persist in the void between federal and state drug laws. Brian Vicente is a Colorado criminal defense attorney and founding partner of Vicente Sederberg. He also serves as Executive Director for Sensible Colorado, chairs the Denver Mayor’s Marijuana Policy Review Panel, and coordinates the Colorado Bar Association’s Drug Policy Project. Dan Riffle is a former assistant prosecutor for Vinton County, Ohio who has turned lobbyist on Capitol Hill. He currently serves as the Director of Federal Policies for Marijuana Policy Project and has shepherded 2013 legislation through Illinois making it the second largest medical marijuana state. Kathy Haddock is the Senior Assistant City Attorney for the City of Boulder, Colorado. She is primarily responsible for advising finance, records, elections, airport, special districts, and special projects including medical and recreational marijuana. She has also been responsible for drafting the laws that license and govern medical marijuana businesses in Boulder, Colorado.